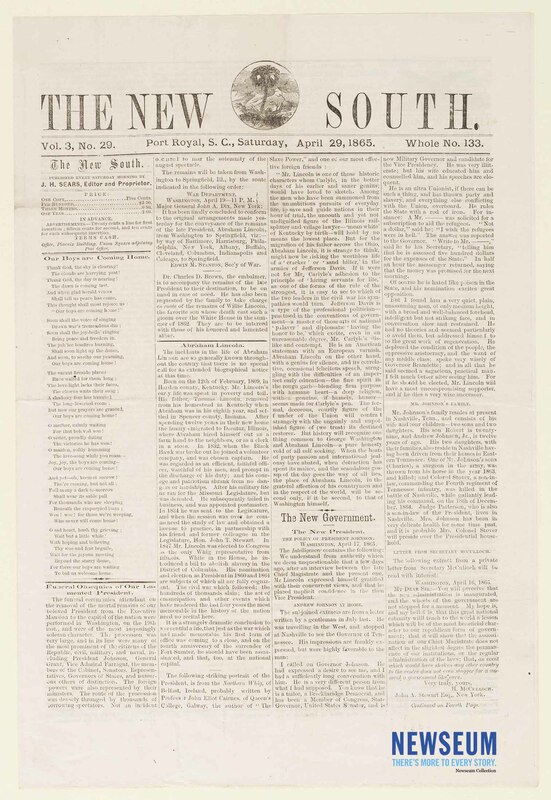 The front page of this Union-occupation newspaper provides brief details on the funeral of President Abraham Lincoln in Washington, DC. Additionally, there is a War Department dispatch from Secretary of War Edwin M. Stanton to Major General John A. Dix regarding the route of the funeral train from DC to Springfield, Illinois. The next paragraph indicates Willie Lincoln will be interred with his father. There are further biographical articles on both Abraham Lincoln and President Andrew Johnson on the front page.